With golden sandy beaches sinking into azure waters, Sal is best described as a beach lover's paradise. 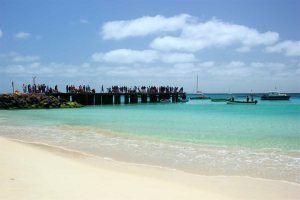 It's also the archipelago's most popular island for holiday-makers. Read more. Home to some of the most dazzling beaches on the archipelago covering a staggering 55km, it's ideal for those in search of total relaxation. Read more. 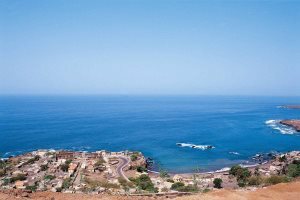 The largest island in the archipelago and home to Praia, Cape Verde's capital, Santiago is an island rich in culture and eclectic history. Read more. 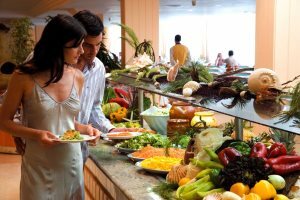 Famed for its dramatic volcanic scenes, a visit to Fogo is highly recommended. 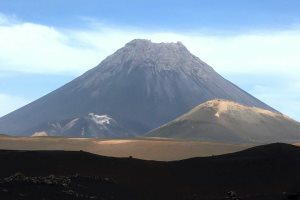 It's striking volcano, standing at 2829m, dominates the landscape and promises adventure. Read more. 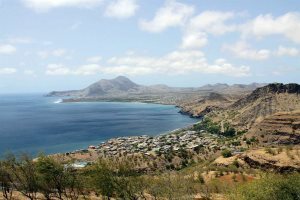 São Vicente's capital, Mindelo, is a vibrant musical town, where you can soak up the very best of Cape Verdean culture. 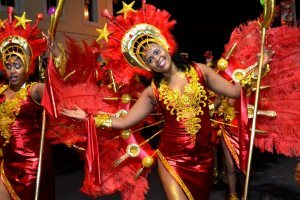 It's also home to the destination's most famous Carnival. Read more. 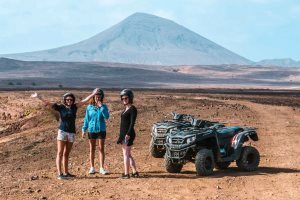 From rugged green mountains to stunning floral landscapes and deserted beaches, there's so much more to Cape Verde than meets the eye. 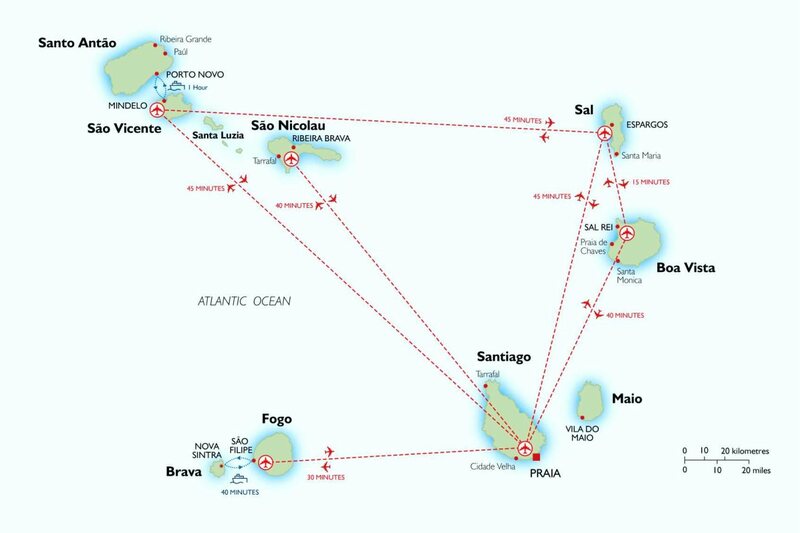 Discover the other islands. 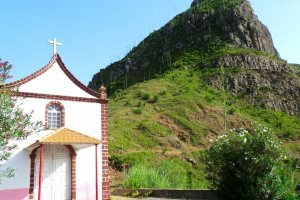 There are sites around the islands, such as Cidade Velha or Ribeira Grande as it was then named, that reflect a fascinating history dating back to the Islands discovery in 1456. 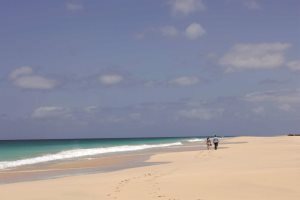 Cape Verde's climate is pleasantly tropical with year round average temperatures between 26° and 30° C.
You will generally find a good selection of restaurants in the main towns offering different choices of cuisine including local Creole and Portuguese specialities. 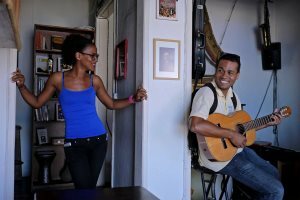 Festivals are an important pastime for the Cape Verdeans with the biggest celebrations taking place on the island of Sao Vicente. 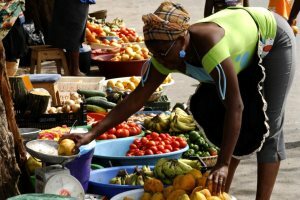 Cape Verde is classed as a poor country however, the quality of life ranks highest in the United Nations index of West Africa. 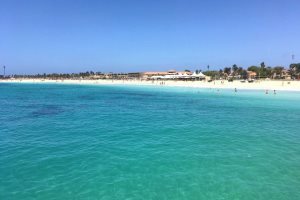 Cape Verde is a popular beach holiday destination, but for those who prefer to get out and about there are a number of options available.